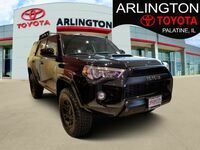 There aren’t a lot of classic sport utility vehicles left on the market, as they’ve slowly been being replaced by crossovers over the past several years. 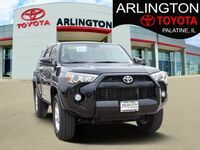 But the few that remain make excellent options in their segments, as they still offer all the versatile utility and capabilities that were expected of an SUV. 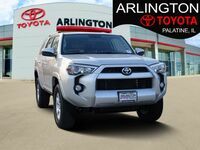 One of our favorites is, of course, the 4Runner, a midsize SUV with a penchant for off-roading. 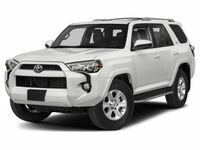 We figured we’d see how it measures up to another one of the greats that are still around, by pitting the 2018 Toyota 4Runner vs 2018 Ford Explorer. We’ve put together the table just below to give you a visual look at how the two SUVs measure up to one another. 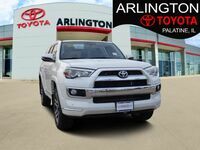 You can tell with just one glance that each vehicle has its own advantages, but we’ll go through the table row by row to help you decipher what each means. 278 lb-ft. Torque 255 lb-ft.
47.2 cu. ft. Cargo Capacity 21.0 cu. ft. The first half of the table looks at power while the second turns to space. Unfortunately, the Explorer gets the nod when it comes to the first row, which looks at horsepower. The Explorer offers 20 HP more than the 4Runner, which isn’t a massive amount but it’s certainly an advantage. 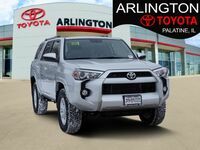 However, the 4Runner fires back right away by offering 23 pound-feet of extra torque. So, when it comes to power, it’s pretty much a toss up. As for space, it comes down to whether you think you’re going to have a need for more passengers or more cargo. 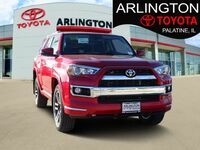 The 2018 Explorer has a third row of seats, allowing for two extra passengers, but that extra row means the 2018 4Runner has much more space for cargo. 26.2 cubic feet of space, to be exact. 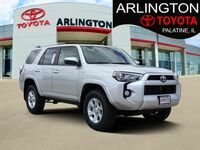 If you’re interested in bringing a 2018 Toyota 4Runner home, be sure to get in touch with us today!